Suitable for iPhones, iPads & all monitors with today's most sophisticated display screen surfaces. 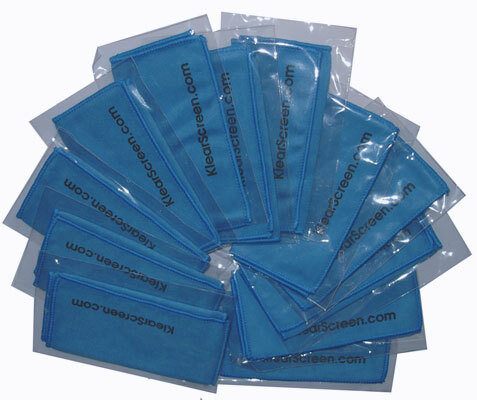 Highly absorbant lint-free washable polishing cloths. These are suitable for smaller sized screens. 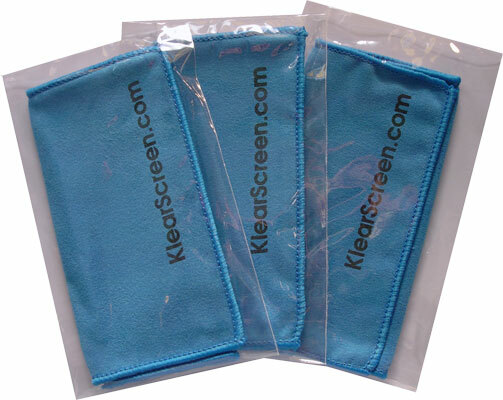 This lint free, non damaging washable & reusable cloth in combination with iKlear safely cleans all your electronic displays, laptops, desktops, HDTVs, Plasma screen TVs, CDs & DVDs. Highly recommended for all new Apple PowerBooks, iBooks, Dell & Sony Monitors and Laptops and all new screens.